Can High Water Pressure Damage Pipes? While you might think having high water pressure in your home is a sign of a healthy plumbing system, overly pressurized water can actually cause a great deal of damage to your pipes and other plumbing fixtures. There’s a big difference between proper home water pressure and over-pressurized flow (which often lead to significant plumbing damage); however, the line between the two isn’t clearly defined, and most concerning of all, it’s not even defined by you. How Water Pressure Rises "Under the Radar"
Standard home water pressure is designated as 80 psi, but when higher pressures are required to provide water for other facilities and services (often in the 100-110 psi range, but sometimes as high as 150 psi), this pressure can reach levels hazardous to your plumbing. Additionally, high, unsafe water pressure can also be the result of thermal water expansion, due to heating within your water heater storage tank. 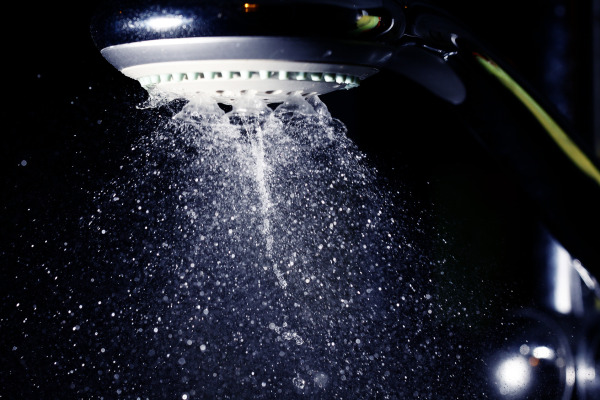 As water is heated, it expands slights, increasing overall pressure; this can lead to unsafe psi levels, and put your home plumbing systems at risk. Due to the risks associated with high pressurization, it’s important to understand how these conditions can damage your pipes internally, as well as common signs of excessive water pressure you should keep an eye out for. Continuous water flow at excessive pressure can critically erode your pipes and other plumbing fixtures in short time, and ruin the life expectancy and performance of your sinks, faucets, washing machines and toilets. Overly pressurized water often causes conventional plumbing fixtures to leak, as stoppers within these fixtures (such as those in conventional toilet tanks) will not be able to stop water from forcing its way through. Additionally, high water pressure contributes to what is known as the “water hammer” effect. When you shut off water fixtures with regular psi flow, internal air chambers effectively protect your pipes when running water stops. Overly-pressurized water flow, however, negates the effects of these chambers when water is suddenly stopped, resulting in a “hammer” effect that can damage critical pipe joints, valves and fixture heads. While these damages can be repaired by trained plumbing experts in a pinch, it’s better to avoid them altogether by monitoring your water pressure and consumption. High water pressure in your home can result in more than just damage to your home plumbing system; it can drain your wallet as well. Excessively high water pressure, as well as the leaks and pipe damage such pressurization causes, can waste as much as 40,000 gallons of water in a single year, running monthly water bills many times higher than typical. The maximum recommended water pressure for homes is 80 psi; any pressurization exceeding this amount will result in thousands of wasted gallons of water each month. If you think high water pressure in your home plumbing system may be putting your pipes at risk, don’t hesitate to contact a plumbing professional in your area. The longer you wait, the more you may erode and damage your pipes internally.